The Little Tots program at Autism Services of Saskatoon is providing crucial therapy to young autistic children in the city. Lucas Hart is one of those children. For the past three years, he has worked with therapists, under the loving eyes of his parents, to develop his social and communication skills. This episode explores the Little Tots program by telling Lucas’s story. Eric speaks with Carrie Hart, Lucas’s mom, therapist Desirae Boutin, and Executive Director of Autism Services of Saskatoon, Lynn Latta. It takes a village of caring, empathetic and extremely patient people to help young autistic children. That comes through loud and clear in this episode. 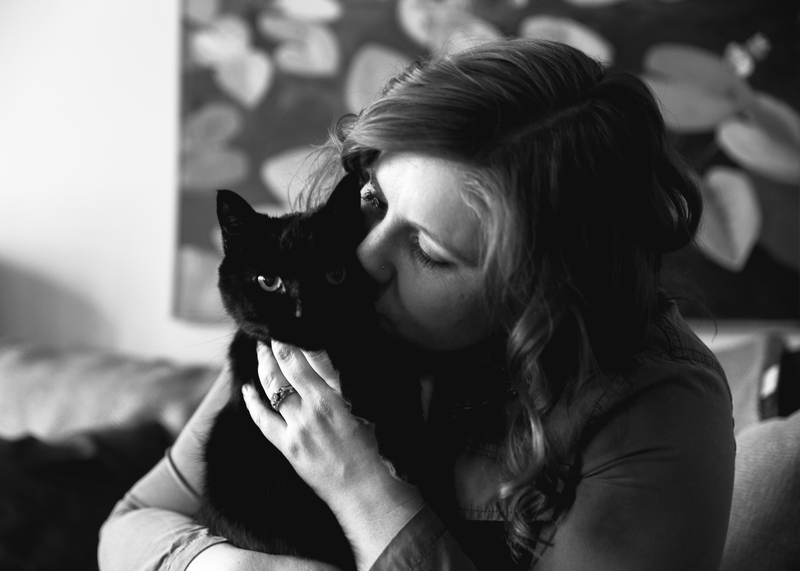 Erin Wasson is a social worker at the University of Saskatchewan’s Western College of Veterinary Medicine. She provides mental health supports to students, faculty and staff, as well as clients from the small and large animal clinics. In this episode, Erin describes the mental health challenges that come with being a veterinarian, how she is able to balance personal and professional life, and why she finds her role at the Vet College so fulfilling. Jessica Fisher from OUTSaskatoon is bringing gender and sexual diversity education to students, teachers and administrators in Saskatoon and across the province. Her presentation focuses on the building blocks of identity, topics such as consent and homophobia, and her story of coming out as pansexual. In this episode, Jessica shares some meaningful moments from her presentations, why the work she does is so important, and opens up about her personal journey to becoming comfortable with her identity. Saskatoon’s EcoQuest grade eight class is an outdoor education program that uses nature in place of a traditional classroom setting. In Episode Eight, Part Two, Eric spends a cold December day with EcoQuest students exploring Saskatoon on foot to learn why they love the program and how it’s turning them into leaders. Scott Dicks is a Saskatoon chef, educator and entrepreneur. He is spreading the joy of food and cooking throughout our community by working with local businesses and teaching cooking classes at The Local Kitchen. In this episode, Chef Scotty discusses Saskatoon’s growing culinary scene, why it’s so important for him to help others and how food can bring a community together. Erin McCormick helps children and adults with physical and cognitive challenges through horseback riding therapy. She owns and operates Therapeutic Equilibrium Riding north of Saskatoon. Eric visits Erin at her acreage to learn more about the benefits of this unique type of therapy and where her passion comes from. Kenton Lysak is a Senior Interpreter for Saskatoon’s Meewasin Valley Authority and is passionate about the world around him. He’s also a brand new father. In this episode of YXE Underground, Kenton talks about the MVA’s role in protecting Saskatoon’s natural beauty, especially as the city continues to grow, and how fatherhood has changed his career. Saskatoon continues to gain national and international attention through publications like The New York Times and The Guardian. Aviva Kohen is a major reason why. Eric speaks with Tourism Saskatoon’s Director of Media in Episode Four of YXE Underground. Eric also sits down with DonnaLyn Thorsteinson from SREDA and the Square One program and learns how she helps Saskatoon entrepreneurs reach their goals. Kara Broks is speech pathologist, business owner and all around rock star! Eric visits Kara at the Speech Language Network to learn why she is so passionate about giving people of all ages the ability to communicate. Sarah Friesen and Jacqueline Lavallee are the featured interviews in Episode 2 of YXE Underground. Both women are helping children, students and families in Saskatoon and have compelling reasons for doing so. Mike Fisher is the co-creator of The Saskatchewan Entertainment Expo. Eric sits down with Mike at Saskatoon’s Amazing Stories Comic Store to learn how he started The Expo and why it means so much to him.